Ad makers still don’t know how to appeal to men without pushing women away. Maybe, but there must be a way to appeal to men without becoming that little boy who writes “no girls allowed” on his bedroom door. 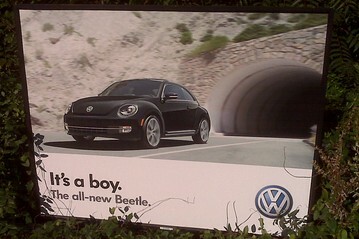 The Beetle ad is trying too hard: “This car isn’t girly,” implies the ad. Dr Pepper Ten tries to be so macho, I wonder if they considered infusing the drink with testosterone, too. It doesn’t have to be this way. The Old Spice Guy doesn’t do this. Commercials for the body wash are technically aimed at women, but they still need a macho stamp of approval for men to use it. And by appealing to both men and women, the Old Spice Guy ads don’t exclude anything feminine to prove how masculine it is. 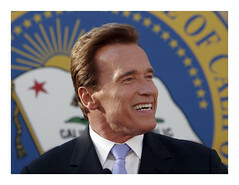 Photo credit: Jonathan Welsh/Wall Street Journal.